I have recently completed my 2nd day trip to Elk Park, N.C. and Elk Mills, Tn. 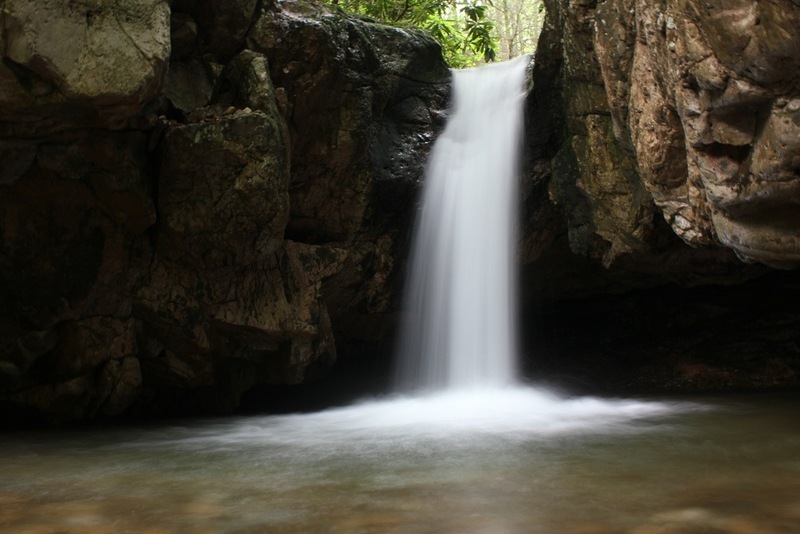 to hike and view the two magnificent waterfalls on the Elk River. 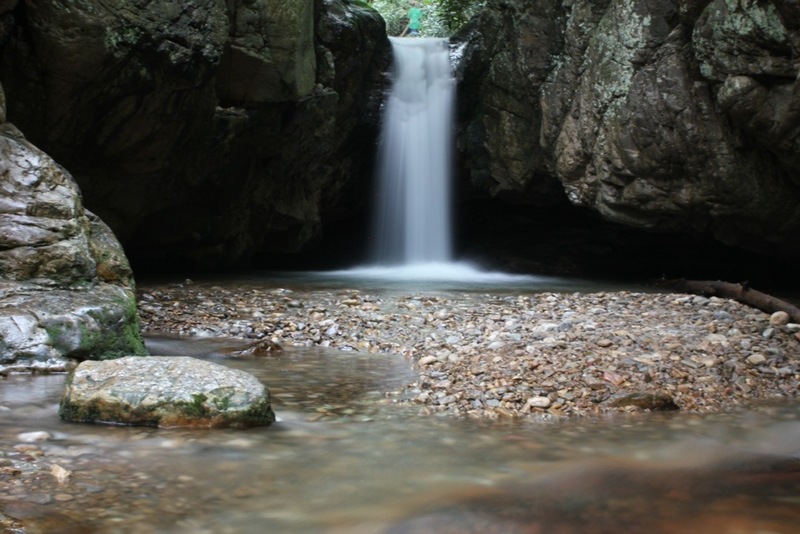 The two waterfalls are only 4 miles apart by river, but there is no trail that connects these that I have been made aware of. I can only assume this is due to private property issues or maybe the gorge is too rugged. So if one wants to see these two waterfalls, driving between the two and short hikes is how it must be done. However, the drive for this is at least 30 miles, and covers 2 states on its way to Hampton along US 321, then back to NC along US 19-E. While driving these miles, one will pass or be near several of Eastern Tennessee’s finest attractions. 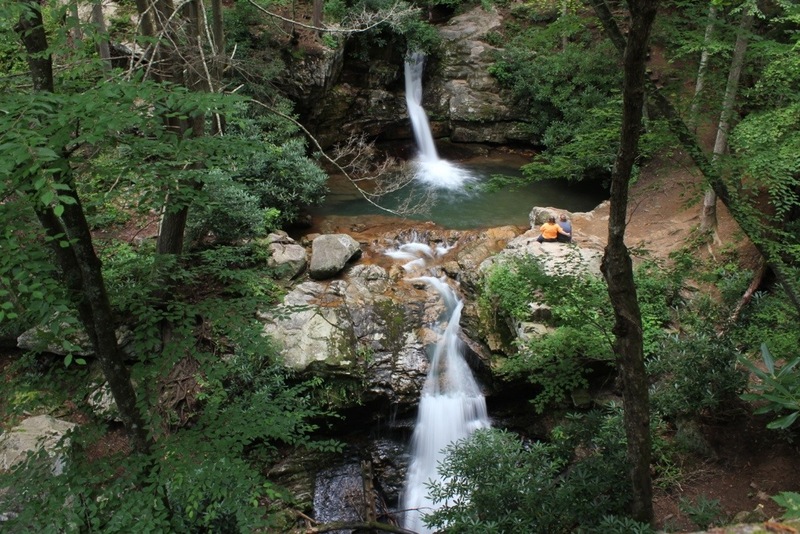 I have learned that while attempting these two waterfalls, one could squeeze in the 1.3 mile hike to the 55 ft Laurel Falls, hike to The Balds of Roan Mountain, or Roan High Bluff and the Rhododendron Gardens. There are also quite a few miles to drive along Lake Wataugua. 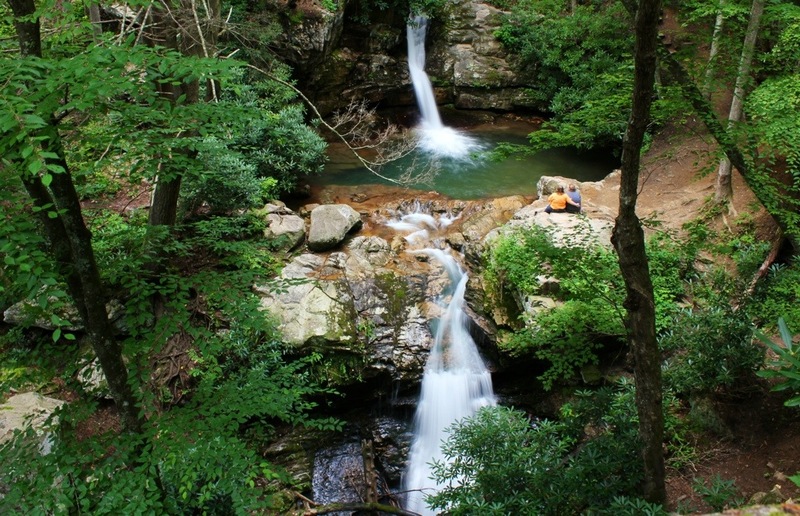 One of my favorite locations in this part of the state has to be the Blue Hole Falls. 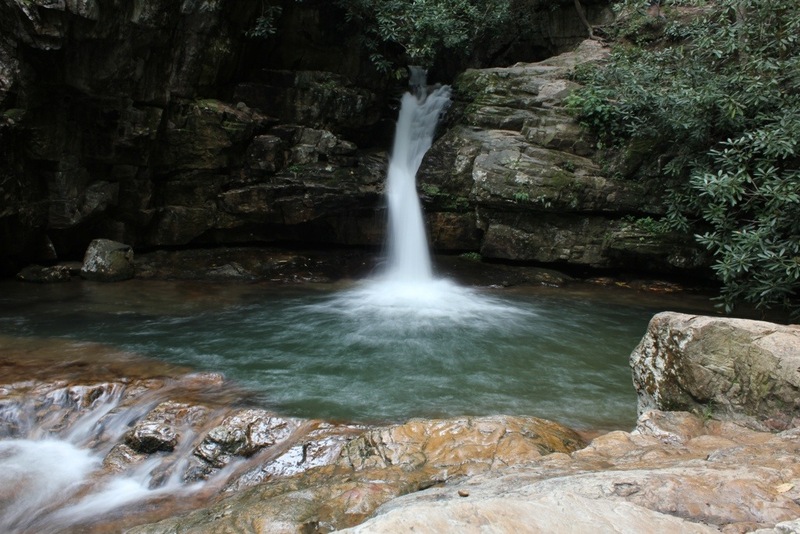 Blue Hole Falls is actually a set of 4 small very scenic waterfalls. It is on the southern end of Holston Mountain, and is accessed via Panhandle Road off of Tn 91. This is about 10 miles north of Elizabethton, TN. Once on Panhandle Road, drive up for 1 mile, parking is fairly obvious, on the left though not clearly marked. My first trip here, I missed this and was halfway up Holston Mountain on a very narrow road wondering where this Blue Hole was. Once there, a number of trails will lead you to different views. The main one goes down, then left. 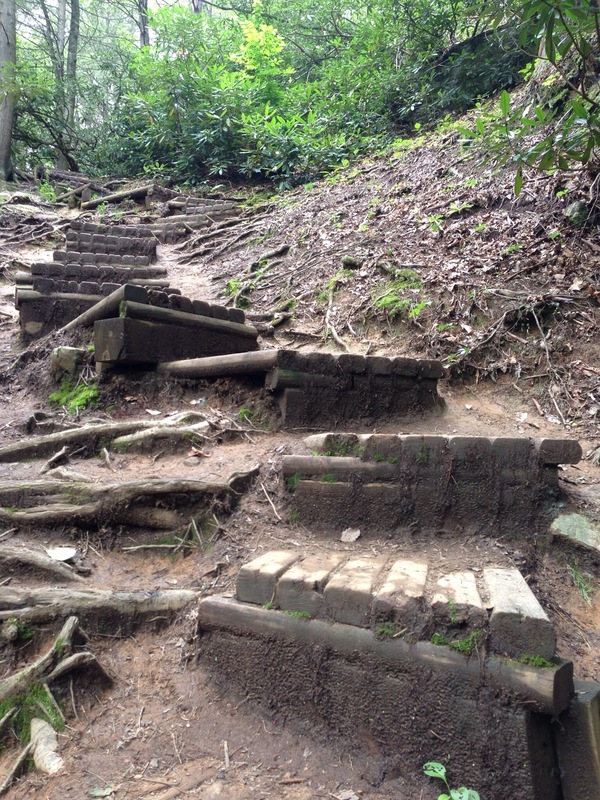 A very strange and somewhat difficult set of steps leads you closer to the small creek. At the bottom ofthe steps, are the waterfalls. 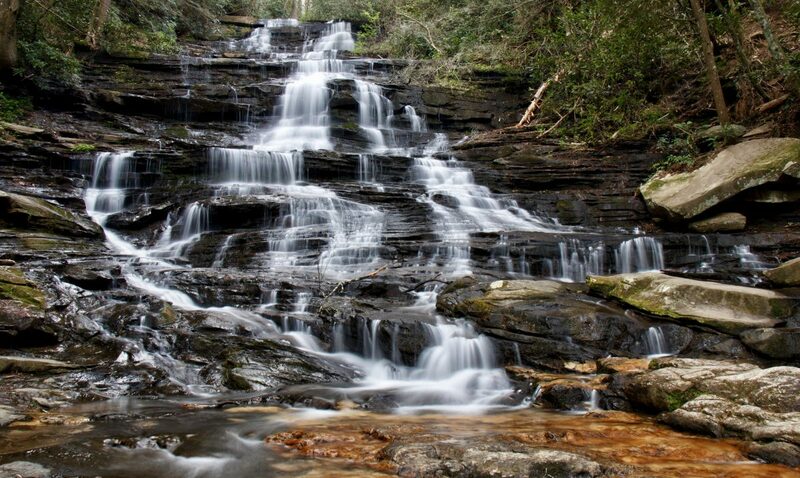 While all of these are beautiful, falls 2 and 3 are especially scenic. Waterfall #2 is “hidden” from the trail. Once at the bottom, you can walk up into the almost cavelike hole this creek and waterfall have created. 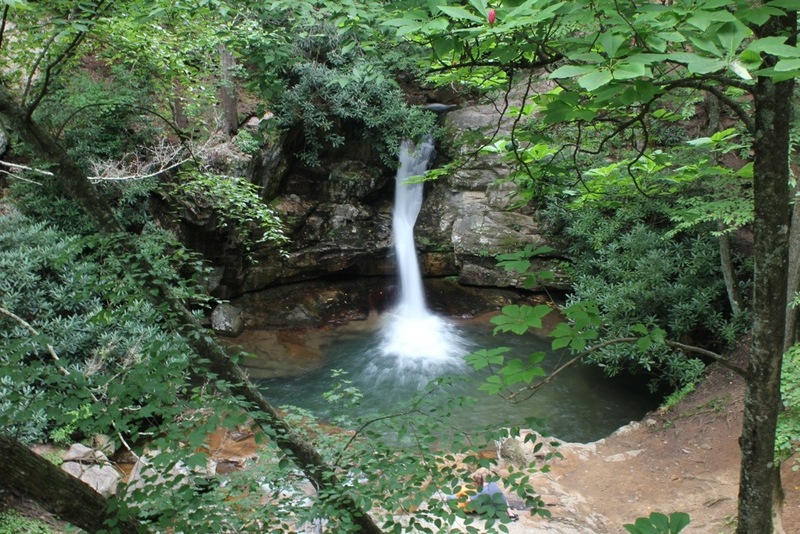 Waterfall #3 is the one named “The Blue Hole”. 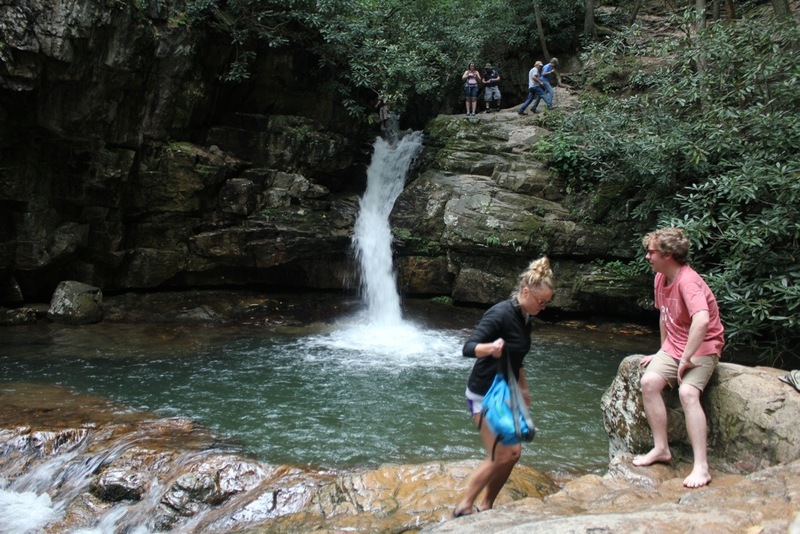 The Blue Hole itself is simply a beautiful greenish-blue pool with a steady small waterfall pouring into it. There are some good rocks to stand or sit on to enjoy or photograph. 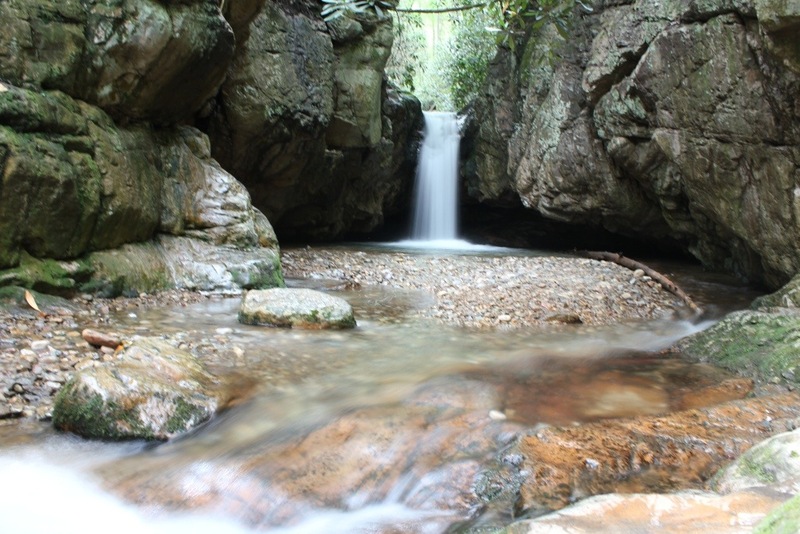 Be careful though, waterfall #4 drops just below the blue hole. It is the steepest one of the 4 and would probably hurt the most in case of a slippage. It can only be enjoyed by hiking back to parking lot and taking a short rim trail at the top. 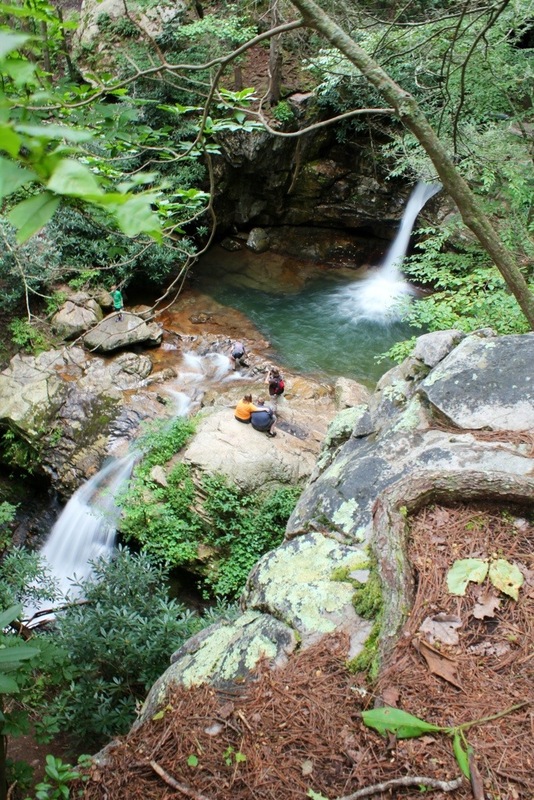 This view up top is my favorite as it showcases The Blue hole and Waterfall #4. All in all, this is truly a gem of a place, a must if you are in the area, and worth taking a day trip to!! I have noticed that you say this is a set of four falls. I have hiked up past the actual blue hole to a very nice waterfall that you do not have pictured so i am unsure if it is what you are calling number one or not. As well as past the final fall you are calling number 4, there is an additional hidden gem. a nice dual fall in another wonderful unique rock outcropping tucked back in a deep hole. It is not very tall, but has a very unique characteristic about it. That being said I have always told out of towner’s that there are at least 5 falls to view at this location. Most locals Don’t even realize that the one above the blue hole is there. 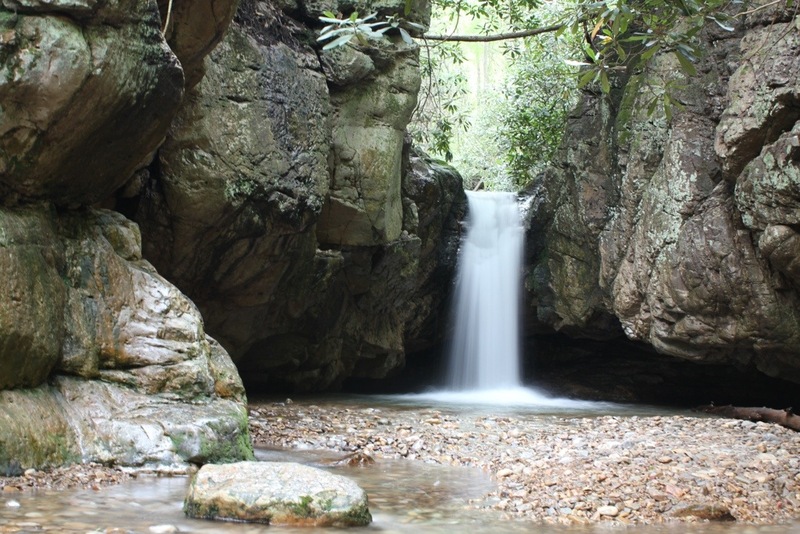 Next Next post: Backbone Rock & Falls – A Fantastic Fall Discovery! !